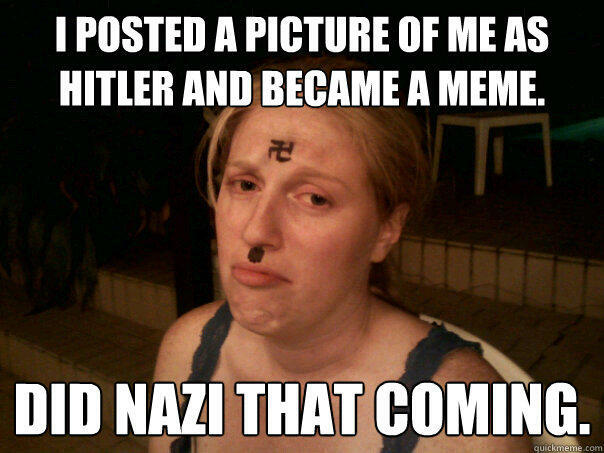 I posted a picture of me as hitler and became a meme. 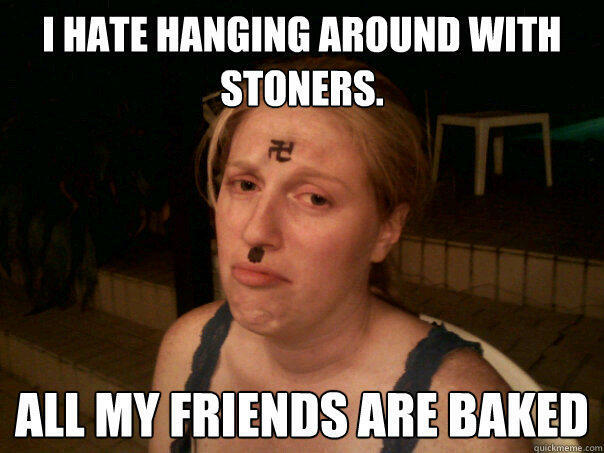 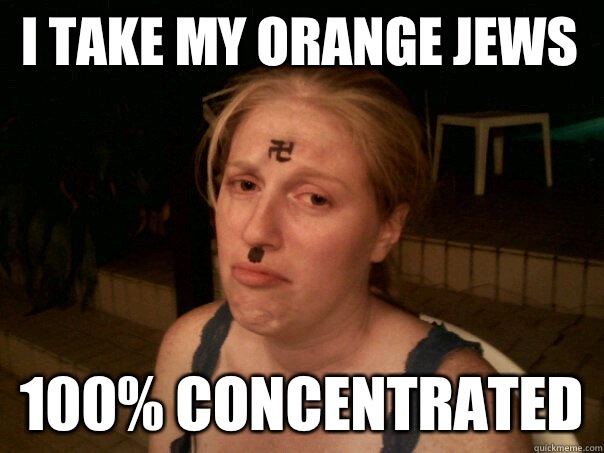 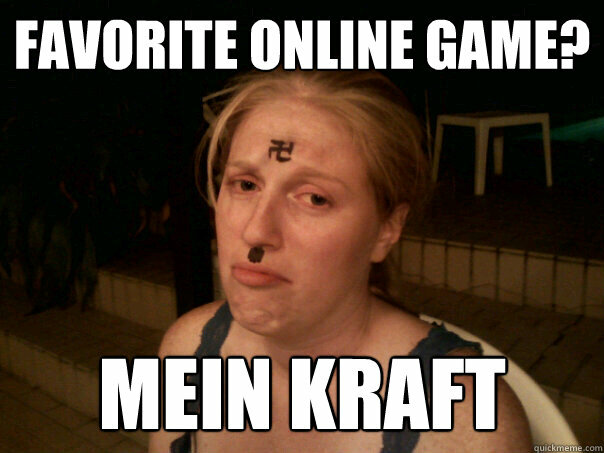 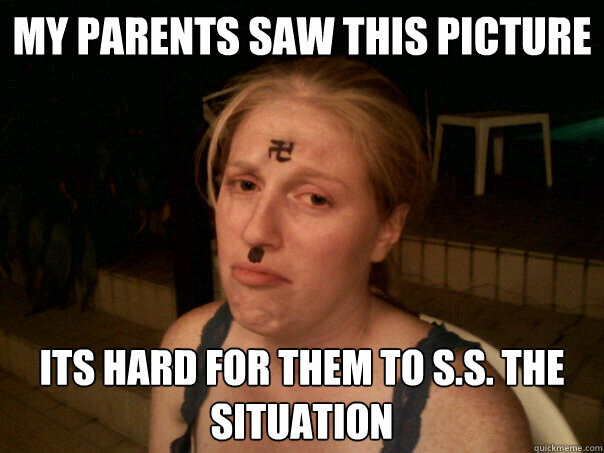 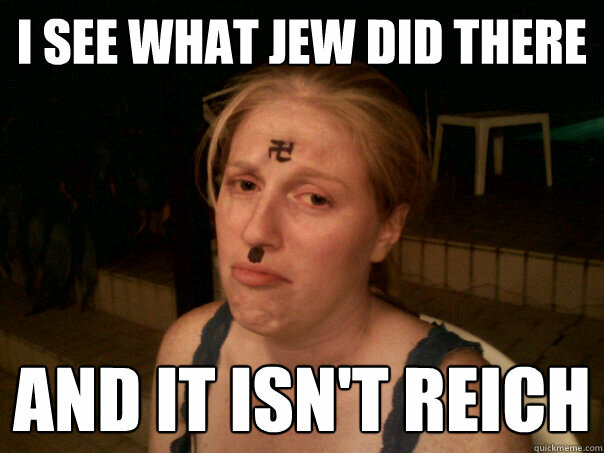 Did nazi that coming. 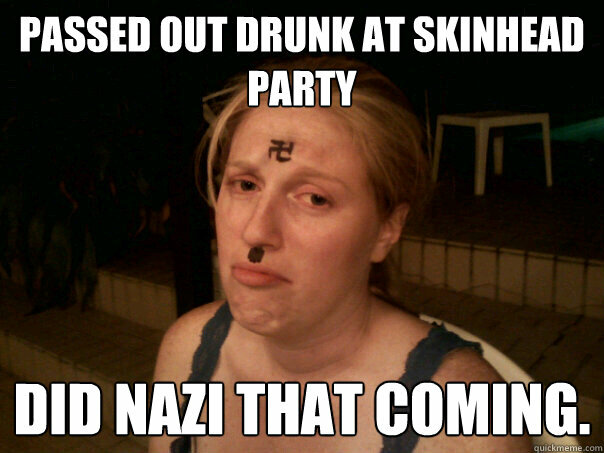 Passed out drunk at skinhead party Did nazi that coming.